A Derbyshire car dealer says a suspected arson attack on his business has caused £6,000 worth of damage. At around 9.30pm on Saturday April 22 firefighters were called to a fire at Autowave Car Sales in Long Eaton where they found a grey Skoda Fabia ablaze. The Fabia was gutted as a result of the fire, which also damaged a nearby car and signage on the dealership’s forecourt. Police are investigating the incident. Fire crews said the fire was deliberate. It's vital that independent garage owners and dealers take out the right level of motor trade insurance and road risks insurance to protect themselves from the unexpected costs involved with being a victim of this kind of attack. Although arson is rare, garages can be an attractive target for vandals who can leave owners with massive bills for repairs. Speaking to the Nottingham Post, Autowave’s director, 32-year-old Ravi Kotecha said: "The first I knew something had happened was when another business owner texted me on Sunday morning about 9am to see if I knew about it, to my shock and horror. "The police and fire brigade had come but hadn't called me, so I didn't know about it before then. The car itself is worth about £4,000, and the other damage is at least another £2,000. "I'm one hundred percent it was an arson. I've no idea who – we haven't got any enemies. "It's very strange, out of the blue. I'm upset, and disappointed someone can do something like that." Autowave has two sites in Long Eaton and stocks more than 40 used cars. A Derbyshire Fire Service spokesman said: "We received a call at 9.38pm. We were told a car was on fire. Long Eaton crews attended and found a fire involving one vehicle." "We informed police as we believed it to be a deliberate ignition. Police didn't attend while we were there. We put the fire out and left at 10.06pm." 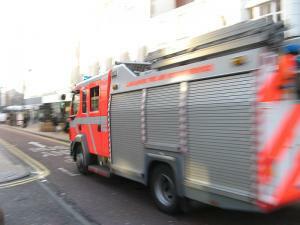 A Derbyshire Police spokesman said: "We were called by the fire service at 9.45pm on Saturday night to Clifton Avenue. A grey Skoda Fabia had been set alight. We are investigating."